Just what is it that we want from the past? History offers us true stories about the past; heritage sells or provides us with the past we appear to desire. The dividing line between history and heritage is, however, far from clear. 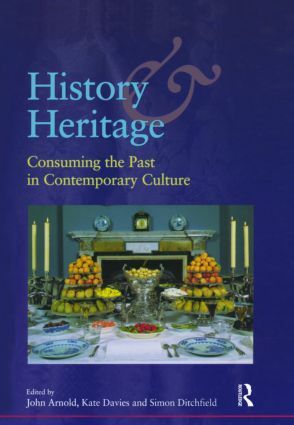 This collection of papers addresses the division between history and heritage by looking at the ways in which we make use of the past, the way we consume our yesterdays. Looking at a wide variety of fields, including architectural history, museums, films, novels and politics, the authors examine the ways in which the past is invoked in contemporary culture, and question the politics of drawing upon 'history' in present-day practices. In topics ranging from Braveheart to Princess Diana, the Piltdown Man to the National History Curriculum, war memorials to stately homes, "History and Heritage" explores the presence of the past in our lives, and asks, how, and to what end, are we using the idea of the past. Who is consuming the past and why?